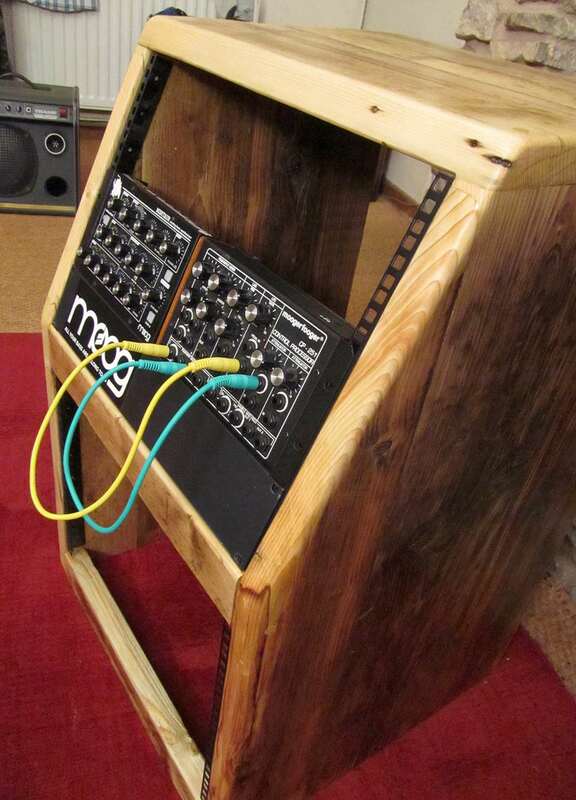 19″ split rack unit made from reclaimed wood. 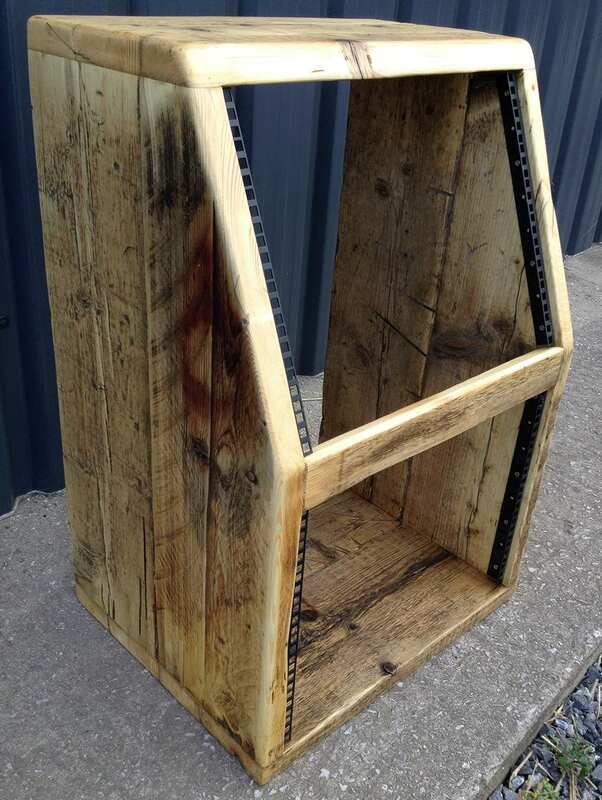 The rack is split into one vertical face and one angled face. Most popular is the 8u x 8u split, however any configuration is possible (e.g. 8u x 6u, or 6u x 4u for example). Rear rack strip: Contact me with number of units required.